I am an attorney, and having gone through the worst time of my life, Bill was there for me. He was easily the most knowledgeable, honest, and professional bankruptcy attorney I found. And I interviewed a lot before I chose him. He is always available, returned my phone calls, and answered all of my questions. You should hire Bill to ease you through this difficult time. And of course, his fees were unusually reasonable. Bill Zurinskas. The Best. Bill's a great guy who knows the law and does a great job getting you through a very traumatic time. He doesn't judge and treats you with respect and dignity. He over-prepares you and is by your side through the entire process. If bankruptcy is your only alternative, Bill's the guy to have at your side. Bill filed a chapter 13 bankruptcy for me and saved my home from foreclosure. Bill also removed the 2nd mortgage from my home. What more can I say! BILL SAVED MY HOME. Bill is not only a very competent Bankruptcy Attorney (the 3 young attorneys I interviewed weren't even close to Bill's expertise, although they were cheaper). Bill is the only attorney I've ever met where I would go out and have a beer with. He has a great sense of humor and put me at ease immediately. He didn't scare the hell out of me like the other attorneys. He even answers his phone himself. I highly recommend Bill. Bill is the best bankruptcy attorney you could ask for! He is genuine, honest, and no-nonsense. He will tell you exactly like it is, and will make decisions with your best interest in mind, not his. (Even if a bankruptcy is not in your best interest, he will let you know, like he did for a friend we referred to him.) He also takes the time to educate you about the process; I like to ask lots of questions and never felt rushed. We filed a Chapter 7, and were very nervous about the process, but Bill made it seem almost easy! Bankruptcy will eliminate most debts. Common exceptions include student loans, child support, alimony, most taxes, debts incurred by fraud, and debts incurred through criminal conduct. Most debtors in bankruptcy will keep their homes, vehicles, and personal property. Bankruptcy is typically the fastest, easiest, and least costly way to rebuild your credit if your credit is already poor. It is possible to eliminate income taxes in Chapter 7 or Chapter 13 Bankruptcy. It is possible to eliminate second mortgages and reduce vehicle payments through chapter 13 bankruptcy. Bankruptcy can stop lawsuits, garnishments, foreclosures, and collection agency harassment. 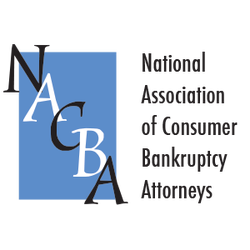 Chapter 7 bankruptcy has a successful completion rate in the high 90th percentile, while chapter 13 bankruptcy nationally have a success rate below 34%.